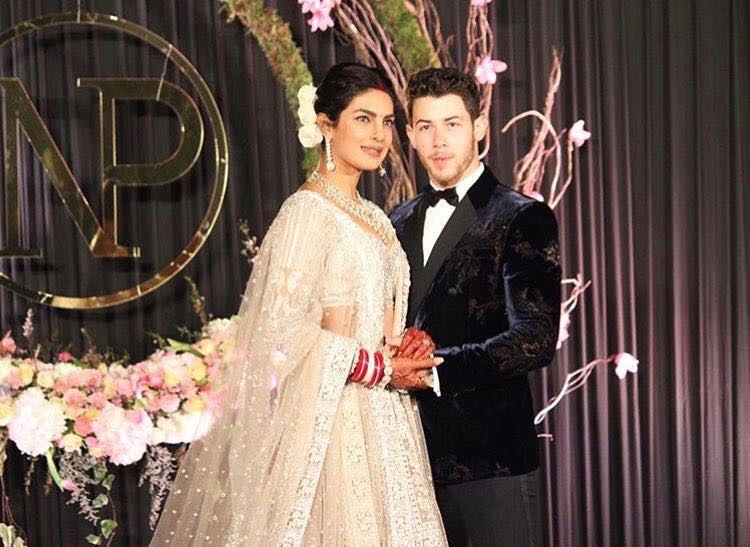 We thought we were wowed by the pictures of Priyanka and Nick Jonas that People Magazine shared from their wedding ceremonies… well now we are in awe! We have some amazing pictures from the Hindu ceremony that designers Sabyasachi shared on Instagram. But first… We have some sweet details from People Magazine about the wedding attire for both services that we just have to share. As you probably know, the Christian wedding ceremony outfits were designed by Ralph Lauren and we have all seen the incredible wedding gown Priyanka wore. 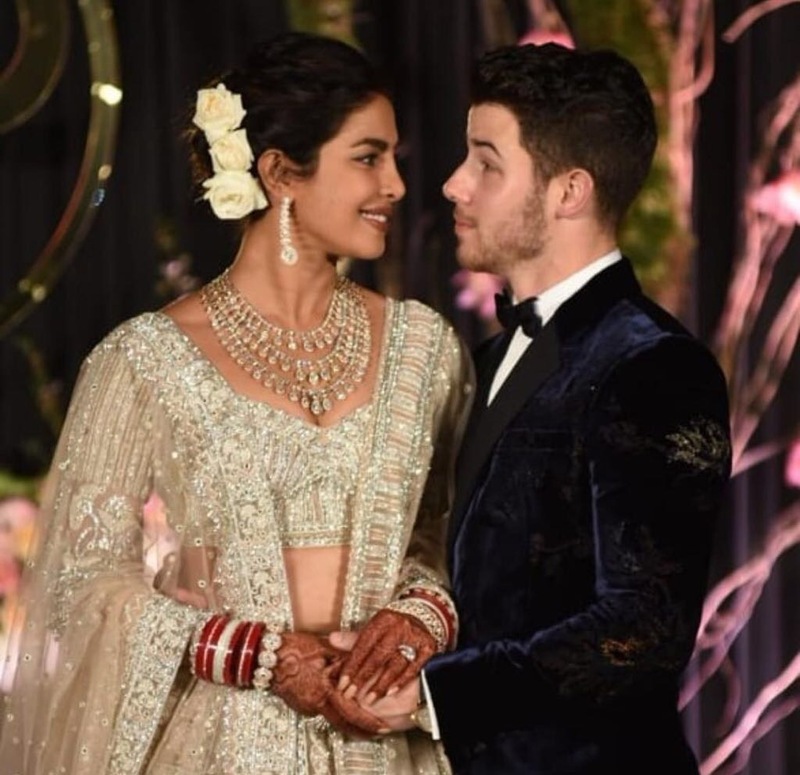 People, in their cover story, said Priyanka asked for some very meaningful things to be part of the design including a piece of Denise Jonas’ wedding dress. 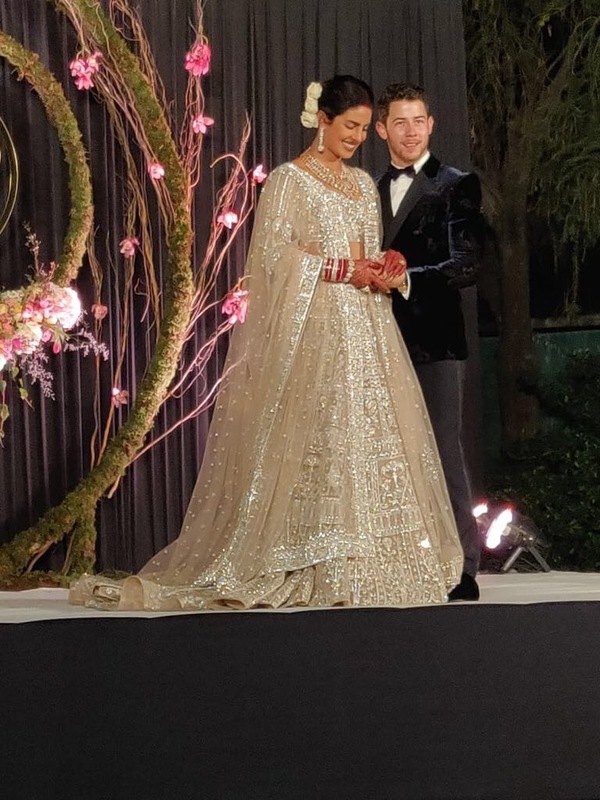 Also embroidered into the gorgeous dress was “Nicholas Jerry Jonas”, “1st December 2018” , Priyanka parent’s names “Madhu & Ashok”, and “Om Namah Shivay”. Not only that she had “Family,” “Hope, “Compassion,” and “Love” sewn into her gown. Now to the Hindu ceremony. The Sabyasachi company, who designed the looks have shared some INCREDIBLY gorgeous and so full of love pictures that we have to share them too! But again hold on…because People had something else to reveal. 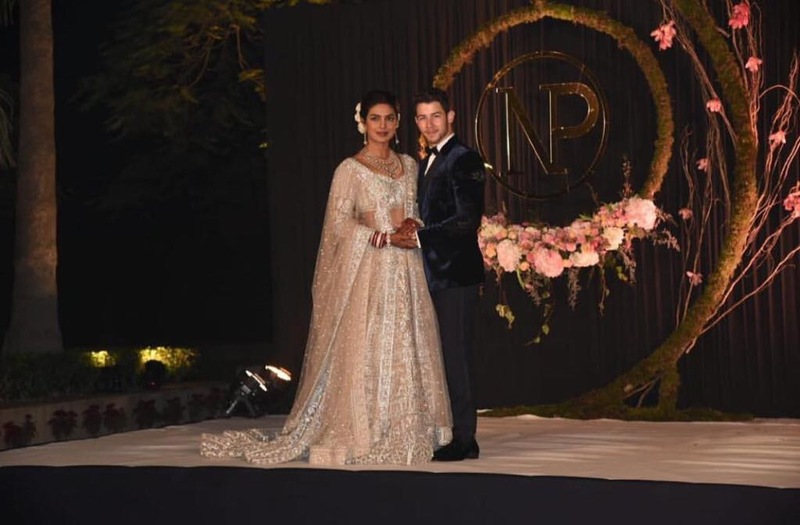 In the breathtaking traditional red lehenga designed by Sabyasachi that Priyanka wore, sewn in, in her native language were Nick’s as well as her parents’ names Ashok and Madhu. Honestly could the couple BE any more family oriented and romantic? Now, Check out these pictures from Sabyasachi of Priyanka’s utter gorgeous-ness and the joy and the love of the couple during the Hindu ceremony. 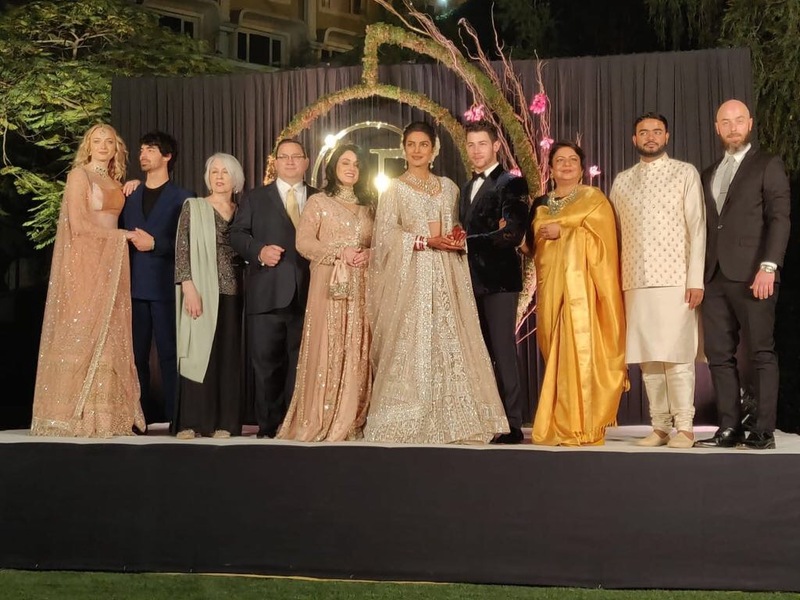 ICYMI, we also have more pictures of Mr and Mrs Jonas from their incredible reception in Delhi. We wish the newlyweds a lifetime of happiness. 15 queries in 2.579 seconds.